This tip of the week was written for Molten-WoW's, the best and leading World of Warcraft (WoW) private server's (3.3.5a) all realms, but also for ALL other retail and private 3.3.5(a) servers. NOTE: Some private servers might NOT have this same feature, although they SHOULD. Many think that arenas are only for the elite of the pvpers (=people who do PvP) and that the newcomers (especially low geared ones) have got nothing to do there and should stick to just farming honor. 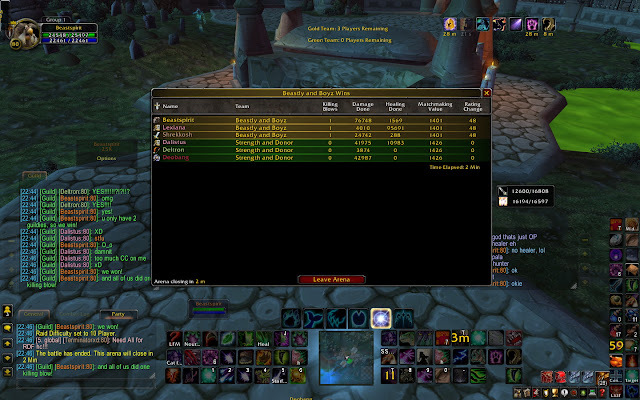 This might be true if you actually wanted to succeed in the arena team classment, but what surprisingly many don't know, is that EVERYONE, wether they are low geared, female, male, alliance, horde, night elf or yes, even tauren, can get 263 Arena Points (minimum) with minimal effort each and every week that can be spent on some "non arena team rating requirement" gear, such as the Relentless set (251 item level). Remember, you have to participate in at least 10 arena matches (in ONE team) and in at least 30% of the matches played by your arena team. How to create/join an arena team? This process is actually A LOT easier than what many could think. I will give 2 different tips for both creating (a) and joining (b) an arena team. a) This will cost you some money (about 100g), but nothing you can't afford, especially if you are on a high rate realm; All you have to do is to go to an arena team organizer and buy one team charter. Right click it, and you will get to choose a correct name for you arena team. Now return to the same npc, and choose "return team charter". You will now have to choose a banner for your arena team and you will be good to go. b) This is even easier than creating an arena team, because basically, all YOU have to do is click "Accept". In order to get the invite though, you will have to be invited to the arena team by the leader of an arena team. Knowing someone through your guild or having a friend might help getting the invite. Also, having a high resilience rating and most essentially, skill helps A LOT in getting an invite to an arena team. "This is a little bit confusing: do you always get the same 263 Arena Points from the flush even with greater arena team and personal rating?" -No. 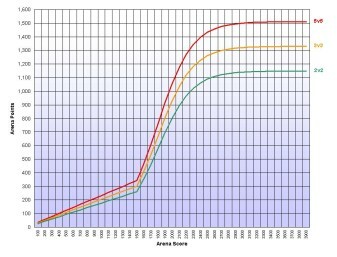 The amount of Arena Points you gain during the "flush" depends on your arena team size (2v2/3v3/5v5) and both your personal and team rating; if both your personal AND team rating are more than 1500, you gain more Arena Points than what you would get if you had a personal OR team rating of <1500. Go here for more information about arena points gain per rating. Molten-WoW, the leading and best WoW private server, recently launched it's new high rate realm (due to them having to lower the population cap of each and every realm), Ragnaros x20. It is now Molten-WoW's 4th high rate realm and 7th realm in total. Most Molten-WoW community members are thrilled, but some are disappointed at it being as "same" as Sargeras, Molten-WoW's first x20 rate realm.